The 65-year-old was reportedly kept in solitary confinement throughout her ordeal. AN IRISH CITIZEN imprisoned in Iran for 110 days has finally been released this afternoon. 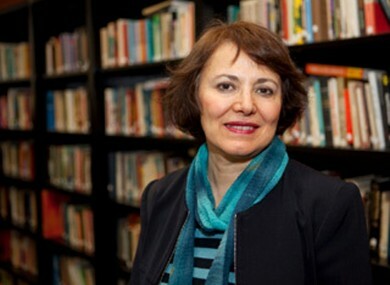 Professor Homa Hoodfar was arrested and detained in the Iranian capital Tehran for allegedly collaborating with a hostile government against national security, and propaganda against the state. Hoodfar (65), who is an Irish citizen from her first marriage, was a professor of anthropology at Concordia University in Montreal, Canada, prior to her detention. Her colleagues at The Irish Federation of University Teachers (IFUT) had called on Foreign Affairs Minister Charlie Flanagan to intervene and said she suffered from a serious neurological condition which affected her ability to stand and speak. Amnesty International had previously seen 40,000 people send a message to Iranian authorities calling for her release. A number of scholars and academics took part in a protest outside the Iranian Embassy in Dublin earlier this month in protest of her imprisonment. Minister Flanagan tweeted his relief this afternoon that Hoodfar was released. Email “Free after 110 days: Irish citizen released from Iranian prison”. Feedback on “Free after 110 days: Irish citizen released from Iranian prison”.